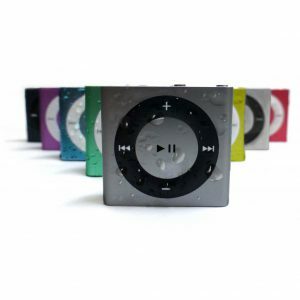 The Underwater Audio Waterproof iPod is by far the best gift you could buy for your mom! She will love it. It will totally transform her swim experience. Trust me on this. I use mine EVERY SINGLE TIME that I swim. These are the perfect accessory to #1! These are the best waterproof headphones on the market. 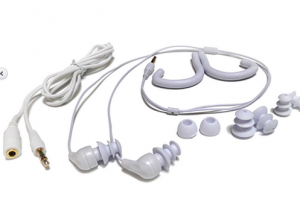 The Waterproof iPod and the Swimbuds together make an excellent combo set. Perfect for a lady with simple, minimalist style. The black and white graphic with silver chain and frame is an excellent choice that will be a great accessory for everyday attire. The neutral tones makes it very versatile and match nearly any ensemble. There is also a very awesome bright aqua color. The graphic inside is slightly more sleek… Accompanied with a square frame, this option is a little more stylized and interesting to the eye. Which makes this a perfect piece for a women with a little more bold tastes. It is also great as an accent piece! This is no ordinary sunscreen. This is the nice stuff. Department store worthy stuff as opposed to grocery store/sale section stuff. This gift will make your mom’s skin healthy as she swims outside AND make her heart warm when she sees you bought her such a sweet present! This gift is really quite cool! It’s practical. 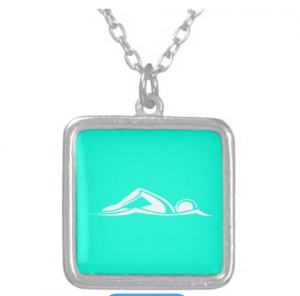 A great accessory for any mom that swims regularly! 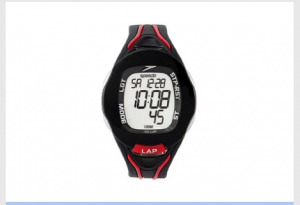 This watch will help your mom train as she times and counts her strokes. If black and red are her favorite colors, like my aunt Karen, than you’ve scored extra points! You may even get promoted to favorite child. 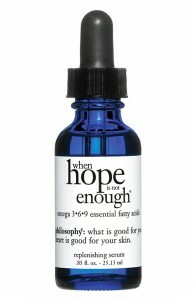 This weightless serum is a luscious oil of magical goodness. I adore it. Plus, Philosophy is such a nice brand. It totally has my personal stamp of approval. 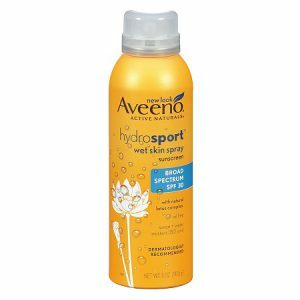 It’s perfect for a mom who swims because it hydrates dry skin and helps to protect it against environmental damage. She loves fitness, health and CANDY! It may seem like a bit counterintuitive, but I can’t help it. I’ve got a sweet tooth. And so do many other women. 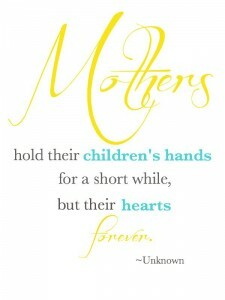 If your mom is the same way, this is the perfect little treat for her! 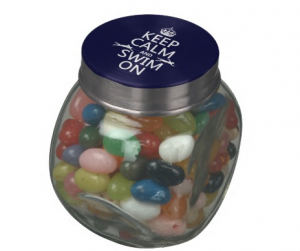 The lid has a little swim inspiring motto printed on it which makes it more personal and thoughtful. Once upon a time, I worked in a spa in Huntington Beach as a Massage Therapist. And what’s my favorite beauty product I found while working there? I’m glad you asked. IT’S THIS!! 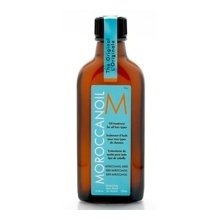 MOROCCAN OIL was perfect for my hair at this time because I was doing lot’s of swimming in pools and in the ocean. I promise your mom will love it! It’s a great brand and it’s basically one of those miracle products. Not super devastating to your wallet if your financial situation is not the cushiest. I highly recommend it for poor college students who still love their swimmer moms. This is an excellent option for your mom to conveniently store all of her swimming nick-nacks! 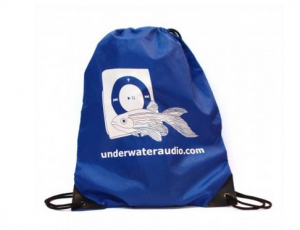 She is going to need a way to carry all of her accessories and gear to the pool and this bag is sporty, water resistant, and has a cute fish on it! Which of these presents would she like best? 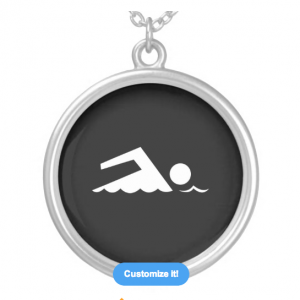 Have you found any other options that would be great for a mom who swims?